Margaret “Peggy” L. Miles lived her entire life in Sandy Springs on the 26 acres her family purchased in the early 1900s. Her father called the property “Lost Corner” because it was so secluded—but Peggy knew the land so well that she could provide the Latin names for most of its animals and plants. As she grew older, Peggy knew she wanted to ensure that her beloved home and the surrounding forest would be protected for the public to enjoy. She contacted the Sandy Springs Conservancy, which turned to The Trust for Public Land for help in acquiring the land and providing a life estate for Peggy. In 2008, 22 acres of the property were dedicated as the Lost Corner Preserve. 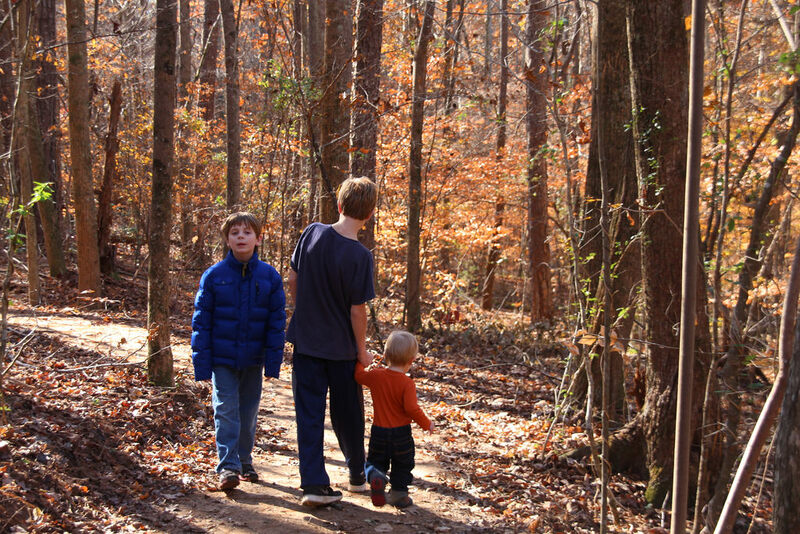 After Peggy’s death in 2008, The Trust for Public Land acquired the last two acres from her estate, and in 2012, we transferred them to the city of Sandy Springs. Lost Corner now provides a peaceful refuge not far from the bustle of Dalrymple Road.